Mom’s we are in a for a long summer so let’s get planning. I enjoy my son being home for the summer. It means lazier, less rushed days are ahead. It also means that I am back to being my son’s primary source of entertainment. He certainly has only child syndrome, poor kid. The kitchen is where we seem to end up time after time. My son adores helping me cook. These lemon poppy seed muffins are so simple he can do most of the steps himself. I’ve always tried to include him when I make my meal plans ( it helps with his compliance when it comes to dinner) and now that he’s older I allow him to do more than plan. Participating in cooking leads to such pride for him. And messes for me, but let’s focus on the enjoyment for him. By helping him navigate ingredients and prepping the food we make he is gaining insight that will (hopefully) stick with him throughout his life. When I met my husband, the only thing he could prepare was eggs and waffles. I am trying to avoid that aspect of “bachelor life” for my son’s future. 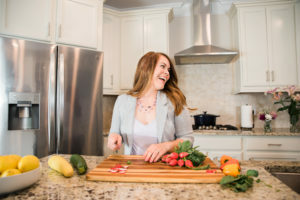 He will know how to plan and make a nutritious and delicious meal. And maybe cook dinner now and then for his dear old mom! This weekend was full of rain and thus, indoor activities. So…. So what tasks did I deem child worthy? 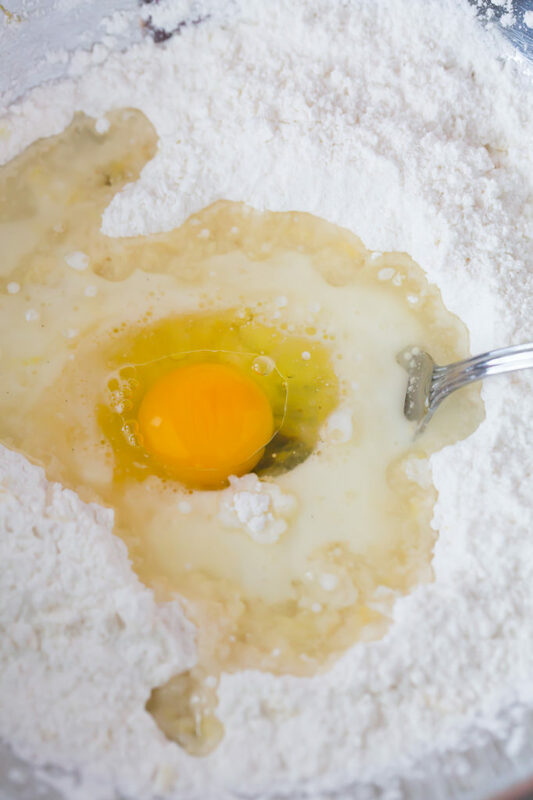 Logan was able to zest the lemon, Pour all the measured ingredients into the mixing bowls, stir the batter and scoop the batter into the muffin tins. I mainly just kept him away from the raw egg. He still puts his hands in his mouth regularly, so I’m leery of any meat or eggs around him. He probably could do it just fine, but you know. I’m a mom, and sometimes our brains are like the Final Destination movies. Avoidance is best, lol. For now. 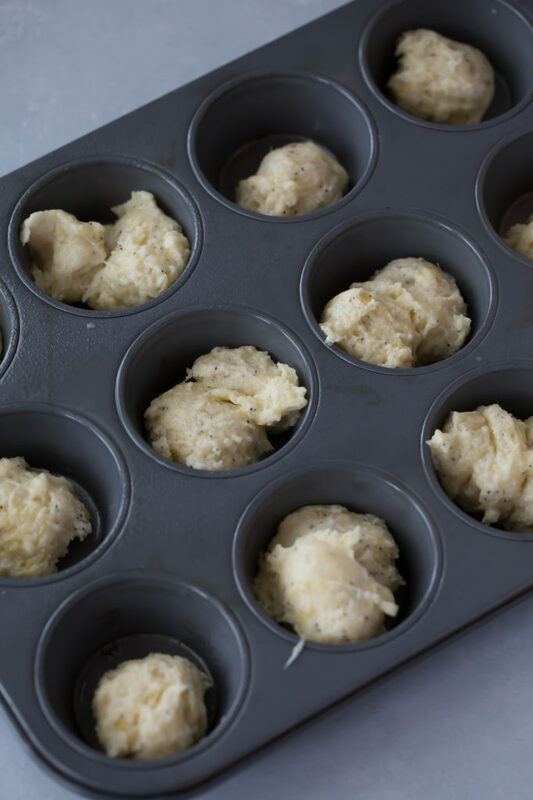 These homemade muffins come together in less than 30 minutes, so they are a perfect yet still simple breakfast for the weekend. You might want to make a double batch though. My dozen muffins were literally gone before I had my kitchen clean. Boys eat A LOT. And fast…. 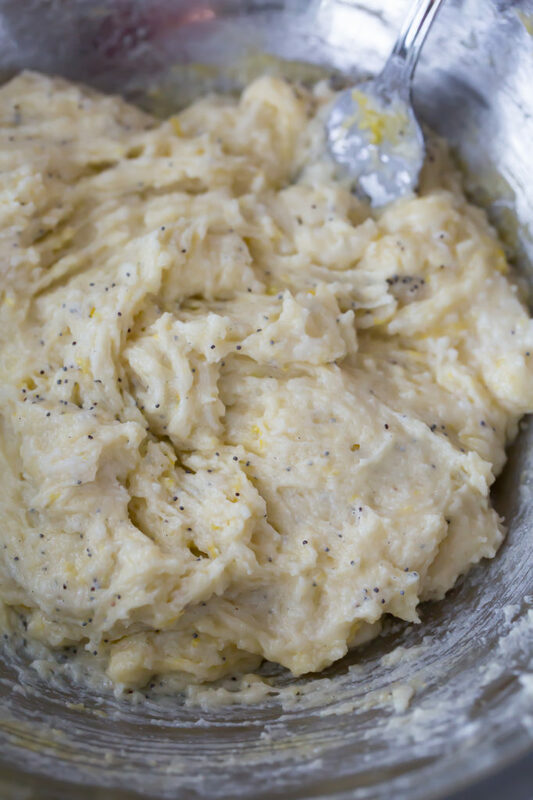 Ready to Bake these Lemon Poppy Seed Muffins? Love this Lemon Poppy Seed Muffin recipe? Be sure to share! Also, check out these other fantastic breakfast recipes: Blueberry Muffins, Strawberries and Cream Overnight Oats, and Banana Nut Oatmeal. 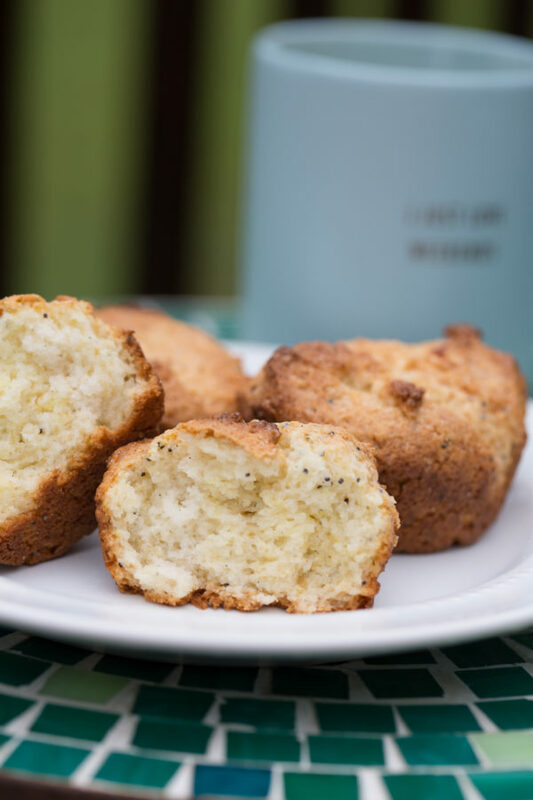 Freshly baked gluten free Lemon Poppy Seed Muffins that are oh-so-delicious and ready in less than 30 minutes! I do enjoy a good lemon poppy seed muffin. Has to really bring out the taste of lemon with just a hint of the poppy seed. 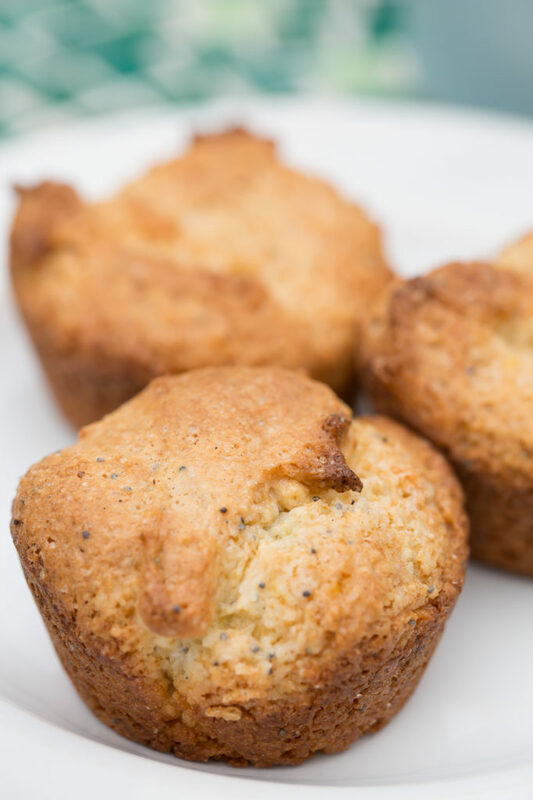 Yummmm… lemon poppy seed muffins are always a hit around here. Nothing like a fresh muffin in the morning! Arguably my favorite muffin! Thanks for sharing! I’m a sucker for muffins…lemon, especially! Yum! Your pictures are making me hungry for some now.! As I love freshly baked homemade muffins, especially when they are lemon. These look like the perfect summer muffin! And they look soooo fluffy! Can’t wait to try them! That’s great that you have Logan in the kitchen helping you out. Do it while he’s young because as a teenager both of mine were too busy! My son just got his first apartment away from home, I hope he using some of the skills I taught him! These are my favourite kind of muffins. Anything lemon is good with me! Lemon poppyseed muffins are so yummy! I love the little bit of tang that they have. These are great! These muffins look simply delicious! Fresh lemon flavors are perfect any time of year! 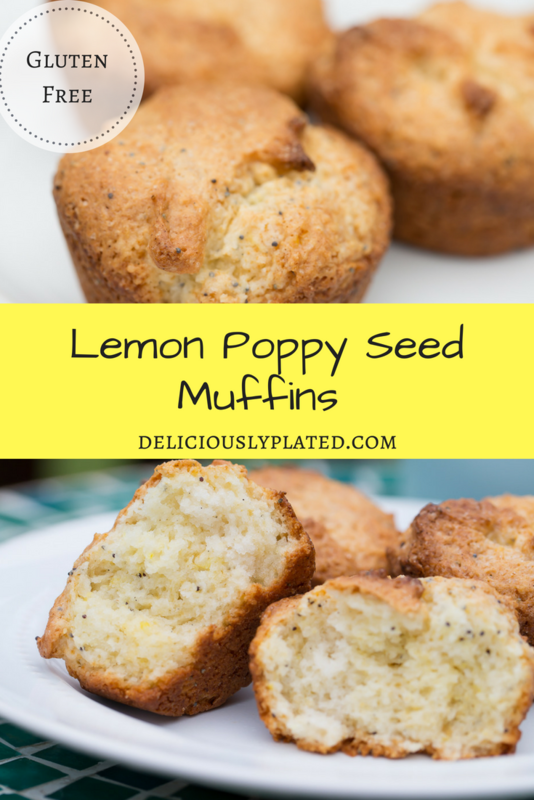 I would love to wake up to these lemon poppy seed muffins for breakfast! They look so moist and delicious! !